Established in the year 2011, "Flamingo Cooling Systems", has achieved a colossal growth, prosperity, and reputation of being the leading Manufacturers and Suppliers of premier grade Cooling Equipment and Services. By recognizing exceptional client needs and challenging market trends, we are offering a wide assortment of high-quality products including Scroll Chillers, Cooling Towers and Air Cooled Chiller. 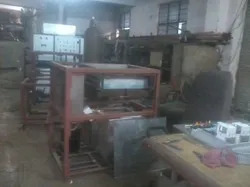 Owing to our strong industrial expertise, we are liable for serving products with maximum quality and mastery amalgamated with advantageous features of the microprocessor based design, corrosion resistance, equipped with PLC and electro-mechanical mechanism, hassle-free maintenance and longevity. In addition of this we are offering Customized Fabrication and Turnkey Project Service. We believe in strengthening skills and potentials of our diligent workforce to encourage an environment that produces leading quality products and empowers us to sustain a growth. To accomplish this efficiency, we have achieved a unique blend of technology and innovation at our state-of-the-art infrastructure. 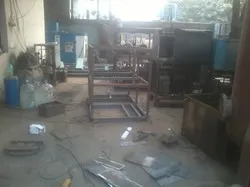 Moreover, by utilizing our exceptional flair into the highly excellent manufacturing practices, we have earned the chance to serve well-public and conventional organizations in the country, such as Surya Roshni Limited, Asahi India Limited, and Mascot Polymers Limited, and many industries from the commercial domain. Our business operations are based on a singular balance and deepened expertise of our mentor "Mr. Sanjeev Kaul". His leadership permitted us to expand the boundaries of success and to support the vibrant legacy of being the industry leaders. Manufacturing and Trading of Scroll Chillers, Ammonia Milk Chillers etc. We own a team that sustains diversity in its speculative background, industrial expertise, and outlook. We understand our success is influenced by the experience of our highly experienced product engineers and supervising managers, along with qualified quality controller officers and skillful marketing and sales personnel. We promote collegial work policies that guarantee to understand the emerging industry practices in a supportive instruction. We have committed time and expertise to support the pioneering reliability in the industry. Due to our significant ability, we have managed our nucleus principles of quality and dedication since establishment. We strongly believe that our technical expertise is all because of our dexterity to adapt the exceptional practices and moreover, due to our thinkers and their preeminent strategies to help our customers accomplish their purposes. Our infrastructure is intended on a specific understanding to technological development and on the requirement of advancements. To analyze and work in accordance to the progressive market trends, we maintain a modern infrastructure that is divided into spacious and highly superior functional units for manufacturing, stocking, processing, quality testing, packaging, and distribution. Moreover, we invest a plentiful amount of our reserves to upgrade it annually.